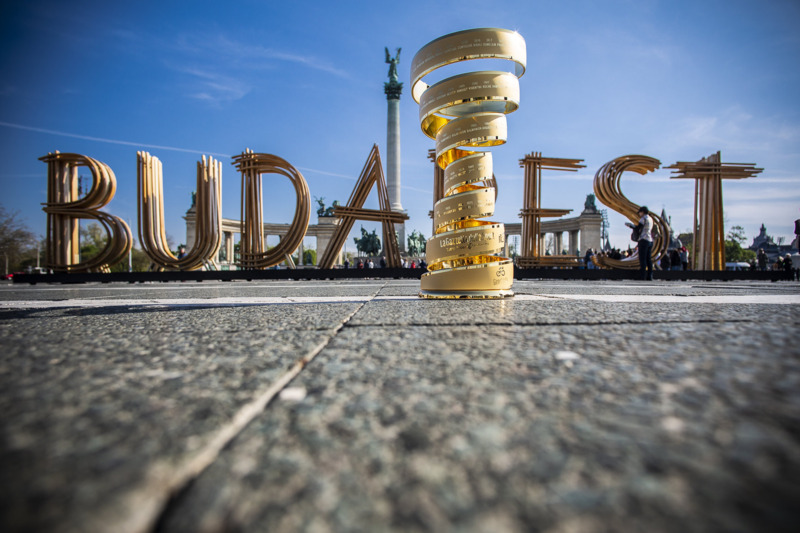 Hungary will host the start of the Giro d’Italia in 2020 with three stages set to take place in the country. The decision was announced in Hungary’s capital city Budapest at an event held in the Italian Cultural Institute. Giro d’Italia director Mauro Vegni was joined by Alexandra Szalay-Bobrovniczky, Deputy Mayor of Budapest at the launch, along with Government Commissary for Active Hungary, Máriusz Révész, and Secretary of State, Tamás Menczer. It was confirmed that the Grande Partenza - Great Departure - will begin with a stage in Budapest next year. Two further stages will also be held in Hungary, with a press conference set to take place in the coming months to reveal further details. "Making our announcement here today in Budapest, this Grande Partenza from Hungary is going to be really special," said Vegni. "It will be the 14th time that the Giro d'Italia has started outside Italy and the first time it will start from this part of Europe. "There will be three stages on Hungarian soil: the first will start from the capital and we will reveal the routes of the other stages soon. "I am sure that Hungary will welcome the Corsa Rosa – pink race - in the best possible way and that the Giro d'Italia, as it always does, will embrace the whole nation with its passion." The race has started outside Italy on 13 occasions to date, with the recent trend seeing the race head abroad once every two years. Belfast in Northern Ireland and Apeldoorn in the Netherlands are among the locations to host the race start, having done so in 2014 and 2016 respectively. Last year’s race start began in Israel. The Giro d'Italia, the first of three Grand Tour events, is due to begin this year in Bologna on May 11. It will run until June 2 with the final stage in Verona. Menczer claimed Hungary had sought to secure the race start and vowed to deliver the best version to date. "Sport is a space for meeting and belonging for everyone," he said. "We strongly wanted this Giro and today we were able to announce it. "We want to show all our country's values, as well as the historical and cultural beauties that Hungary has to offer. "Thanks to worldwide televisual connectivity we will be able to show our Hungary, the place we would like people to come and visit. "We are all involved as institutions and we are aiming for this project to be defined as the best Grande Partenza of the Giro d'Italia ever." It marks the latest major event to head to Budapest. The Hungarian capital, which entered the race for the 2024 Olympics before withdrawing because of rising opposition, was last year awarded the 2023 International Association of Athletics Federations World Championships. Budapest also hosted the 2017 International Swimming Federation World Aquatics Championships. It is due to stage the first edition of the World Urban Games this year, along with potentially staging the 2021 event.